Get awesome deals sent to you via text message! We will text you when we have deals in your area! Deals added all the time! It’s Free. Deal is applied when you use it. No Apps. No Downloads. 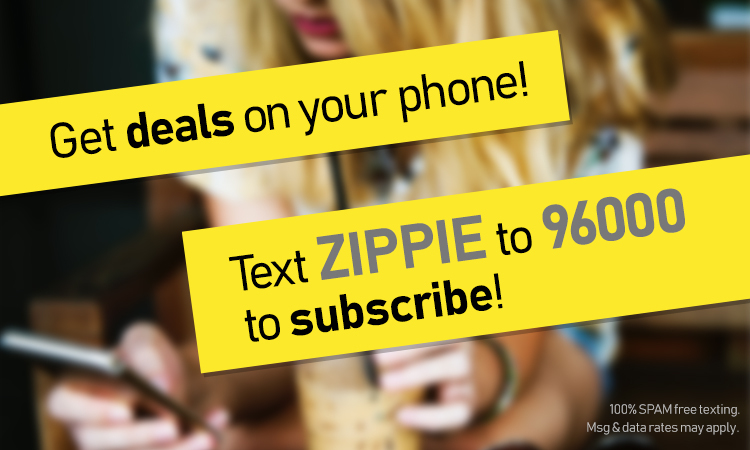 Text ZIPPIE to 96000 to sign-up! Msg & data rates may apply if no texting plan on your phone. Mobile numbers are NEVER shared with third-parties. Text with trust!